Anodized aluminium structure and modular building. Possibility of housing until 12 different modules, at the same time. Automatic anchorage system for any module. 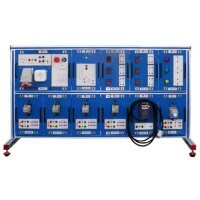 All modules have handles and diagram. Automatic anchorage system for placing any module in the frame.